It truly does take an army to raise and educate a child. The most recognizable employees within a school district are the teachers. However, they represent only a portion of the personnel that works within the school. School personnel can be divided into three distinct categories including school leaders, faculty, and support staff. Here we examine the essential roles and responsibilities of key school personnel. Board of Education – The board of education is ultimately responsible for most decision making in a school. The board of education is made up of elected community members most usually consisting of 5 members. The eligibility requirement for a board member varies by state. The board of education generally meets once per month. They are responsible for hiring the district superintendent. They also generally take into account the recommendations of the superintendent in the decision-making process. Superintendent – The superintendent oversees the daily operations of the school district as a whole. They are generally responsible for providing recommendations to the school board in a variety of areas. The superintendent’s primary responsibility is handling the financial matters of the school district. They also lobby on behalf of their district with the State government. Assistant Superintendent – A smaller district may not have any assistant superintendents, but a larger district may have several. The assistant superintendent oversees a specific part or parts of a school district’s daily operations. For example, there may be an assistant superintendent for curriculum and another assistant superintendent for transportation. The assistant superintendent is overseen by the district superintendent. Principal – The principal oversees the daily operations of an individual school building within a district. The principal is primarily in charge overseeing the students and faculty/staff in that building. They are also responsible for building community relationships within their area. The principal is often responsible for interviewing prospective candidates for job openings within their building as well as making recommendations to the superintendent for hiring a new teacher. Assistant Principal – A smaller district may not have any assistant principals, but a large district may have several. The assistant principal may oversee a specific part or parts of a school’s daily operations. For example, there may be an assistant principal who oversees all student discipline either for the entire school or for a particular grade depending on the size of the school. The assistant principal is overseen by the building principal. Athletic Director – The athletic director oversees all of the athletic programs in the district. The athletic director is often the person in charge of all the athletic scheduling. They also often have their hand in the hiring process of new coaches and/or the removal of a coach from their coaching duties. The athletic director also oversees the spending of the athletic department. Teacher – Teachers are responsible for providing the students they serve with direct instruction in the area of content in which they specialize. The teacher is expected to use the district-approved curriculum to meet state objectives within that content area. The teacher is responsible for building relationships with parents of children which they serve. Counselor – A counselor’s job is often multifaceted. A counselor provides counseling services for students who may struggle academically, have a rough home life, may have gone through a difficult situation, etc. A counselor also provides academic counseling setting student schedules, getting students scholarships, preparing them for life after high school, etc. In some cases, a counselor may also serve as the testing coordinator for their school. Special Education – A special education teacher is responsible for providing the students they serve with direct instruction in the area of content with which the student has an identified learning disability. The special education teacher is responsible for writing, reviewing, and implementing all Individual Education Plans (IEP) for students served. They also are responsible for scheduling meetings for IEP’s. Speech Therapist – A speech therapist is responsible for identifying students who need speech related services. They are also responsible for providing the specific services needed to those students identified. Finally, they are responsible for writing, reviewing, and implementing all speech related IEP’s. Occupational Therapist – An occupational therapist is responsible for identifying students who need occupational therapy related services. They are also responsible for providing the specific services needed to those students identified. Physical Therapist - A physical therapist is responsible for identifying students who need physical therapy related services. They are also responsible for providing the specific services needed to those students identified. Alternative Education – An alternative education teacher is responsible for providing the students they serve with direct instruction. The students they serve often cannot function in a regular classroom often because of discipline related issues, so the alternative education teacher has to be extremely structured and a strong disciplinarian. Library/Media Specialist – A library media specialist oversees the operation of the library including the organization, ordering of books, checking out of books, the return of books, and re-shelving of books. The library media specialist also works directly with the classroom teachers to provide assistance in anything associated with the library. They also are responsible for teaching students library related skills and creating programs that develop lifelong readers. Reading Specialist – A reading specialist works with students who have been identified as struggling readers in a one-on-one or small group setting. A reading specialist assists the teacher in identifying students who are struggling readers as well as finding the specific area of reading which they struggle. A reading specialist’s goal is to get each student they work with on grade level for reading. Intervention Specialist – An intervention specialist is much like a reading specialist. However, they are not just limited to reading and may assist students who struggle in many areas including reading, math, science, social studies, etc. They often fall under the direct supervision of the classroom teacher. Coach – A coach oversees the day to day operations of a specific sports program. Their duties can include organizing practice, scheduling, ordering equipment, and coaching games. They are also in charge of specific game planning including scouting, game strategy, substitution patterns, player discipline, etc. Assistant Coach – An assistant coach helps the head coach in whatever capacity the head coach directs them. They often suggest game strategy, assist in organizing practice, and helps with scouting as needed. Administrative Assistant – An administrative assistant is one of the most important positions in the entire school. A school administrative assistant often knows the day-to-day operations of a school as well as anyone. They are also the person who communicates most often with parents. Their job includes answering phones, mailing letters, organizing files, and a host of other duties. A good administrative assistant screens for the school administrator and makes their job easier. Encumbrance Clerk – The encumbrance clerk has one of the most difficult jobs in the entire school. The encumbrance clerk is not only in charge of school payroll and billing, but a host of other financial responsibilities. The encumbrance clerk has to be able to account for every cent a school has spent and received. An encumbrance clerk must be organized and must stay current with all laws dealing with school finance. School Nutritionist – A school nutritionist is responsible for creating a menu that meets state nutrition standards for all meals served at school. They are also responsible for ordering the food that will be served. They also collect and keep up with all monies taken in and spent by the nutrition program. 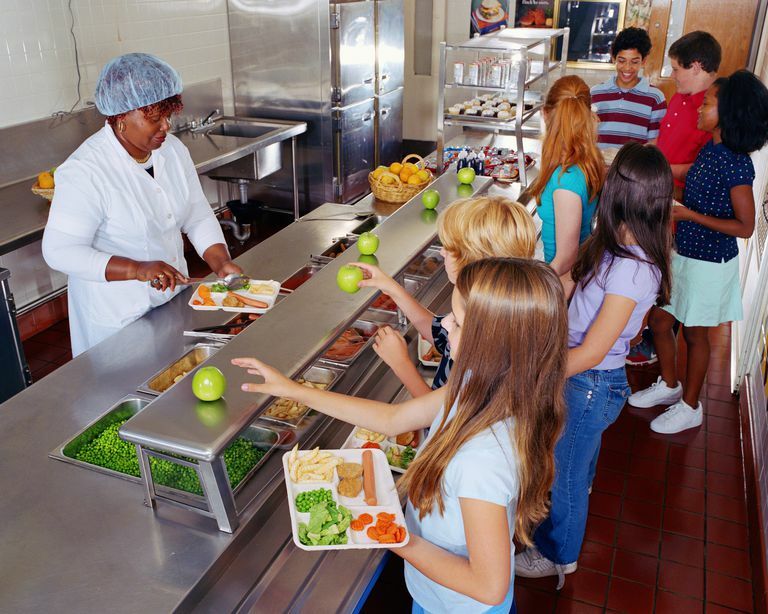 A school nutritionist is also responsible for keeping track of which students are eating and for which students qualify for free/reduced lunches. 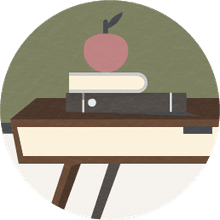 Teacher‘s Aide – A teacher’s aide assist a classroom teacher in a variety of areas that can include making copies, grading papers, working with small groups of students, contacting parents, and a variety of other tasks. Paraprofessional – A paraprofessional is a trained individual who assists a special education teacher with their day-to-day operations. A paraprofessional may be assigned to one particular student or may help with a class a whole. A paraprofessional works in support of the teacher and does not provide direct instruction. Nurse – A school nurse provides general first aid for students in the school. The nurse may also administer medication to students who need it or are required medication. A school nurse keeps pertinent records on when they see students, what they saw, and how they treated it. A school nurse may also teach students about health and health-related issues. Cook – A cook is responsible for the preparation and serving of food to the entire school. A cook is also responsible for the process of cleaning up the kitchen and the cafeteria. Custodian – A custodian is responsible for the day-to-day cleaning of the school building as a whole. Their duties include vacuuming, sweeping, mopping, cleaning bathrooms, emptying trash, etc. They may also assist in other areas such as mowing, moving heavy items, etc. Maintenance – Maintenance is responsible for keeping all the physical operations of a school running. If something is broke, then maintenance is responsible for repairing it. These may including electrical and lighting, air and heating, and mechanical issues. Computer Technician – A computer technician is responsible for assisting school personnel with any computer issue or question that may arise. Those may include issues with email, internet, viruses, etc. A computer technician should provide service and maintenance to all school computers to keep them running so that they may be used as needed. They are also responsible for server maintenance and the installation of filter programs and features. Bus Driver – A bus driver provides safe transportation for students to and from school.